Timbered Lake opened with “Carry the Dream” …Carry the dream…carry the dream a little further…carry the dream a little further into the day…for those of us who’ve fallen on the way…and as the words and melody wafted through the air and patrons munching on popovers and sipping juice and their hot beverage of choice, I thought of the man who co-founded the soup kitchen and cafe, of Oran, of well known and lesser known people working to make this a better world, of relatives and ancestors, whose dreams, ideals and aspirations we carry on. And as the husband-wife duo continued to sing a monarch butterfly fluttered up and around the woman singer’s head, like a blessing, and then off again, the third or fourth generation and leg of a journey that spans thousands of miles, from Mexico, over the United States, to Canada and back again, an annual migration that still defies complete scientific understanding. 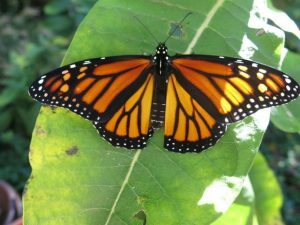 How is a butterfly from Canada able to navigate all the way to the grove in the mountains of Mexico that their great grandparent left from? It’s a mystery that’s a bit magical. In Mexico, the butterflies arrive around the time of the Day of the Dead festivities and it is believed they are the spirits of returning loved ones. I remembered on the first day of fall last year discovering a beautiful green and gold-spotted chrysalis under a milkweed leaf in our backyard. 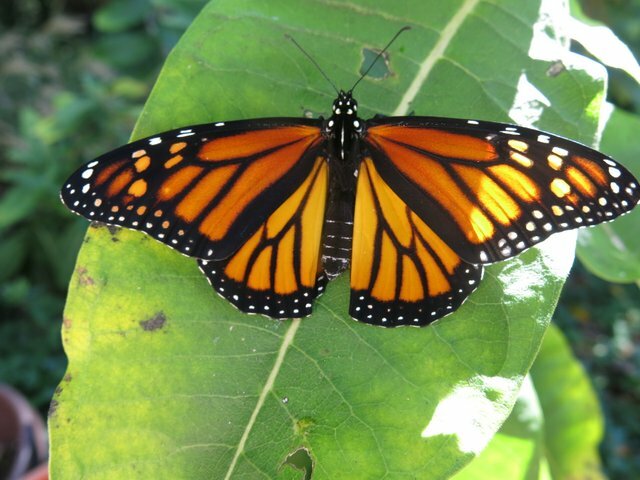 A couple weeks later the chrysalis darkened and then, on a cool and windy day, a beautiful monarch butterfly emerged from it. A week or so later, Oran “birthed his butterfly” as his wife poetically wrote, so when our family sees monarchs we think of him. Upon returning to Silver Spring, we decided that the autographed David Mallett CD with “Garden Song” really belonged to Washington Revels, where this story all started. A song coming full circle. And small gesture of appreciation for Revels much-loved kids programming and much-loved teachers, both past and present, who have nurtured and continue to nurture our children’s often boisterous spirits in the garden of their classes. I am thinking of Oran this week, as my son attends rehearsals for this year’s Christmas Revels and my daughter eagerly looks forward to her next Little Dragons class, as the air becomes crisper, the harvest comes in and the autumn leaves fall once again, and as the monarchs that have been fluttering about still blooming flowers migrate further south. Another circle of the year. And I am thinking about how music weaves through life, carrying dreams and memories, connecting people to each other and that which is sacred through time and space. How one song leads to another. How people go in and out of life and voices may be lost, but the song goes on…Pulling weeds and picking stones…Man is made of dreams and bones…Feel the need to grow my own…Cause the time is close at hand…. 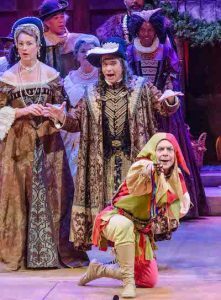 Come see Codrut performing in the 2017 Christmas Revels Children’s Chorus this December!